Negatives are easily positioned in slots on the mask of the Paterson Proof Printers and the resulting contact sheet enables easy choice of which negatives to enlarge. 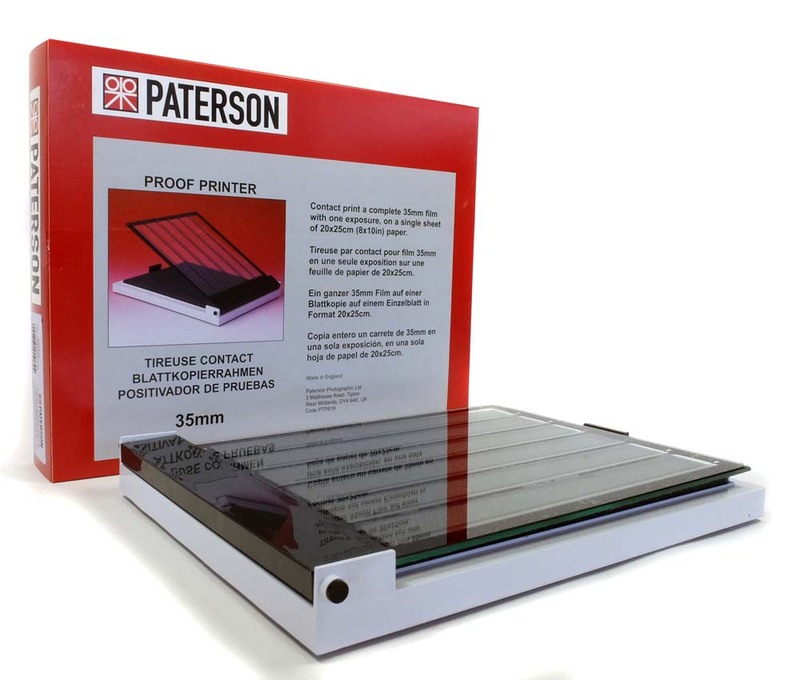 An entire 36 exposure 35mm or 120 film can be proofed on a single 8 x lOin (20.3 x 25.4cm) sheet of paper. The 35mm model takes six strips of 6 exposures. The 6 x 6cm modeI takes four strips and is suitable for 6 x 6cm, 6 x 4.5cm, and 6 x 7cm formats A larger version of the 35mm model accepts seven strips of six negatives to print onto 9.5 x 12in (24 x 30cm) paper.